While New Brunswick doesn’t offer sales incentives to encourage the purchase of electric vehicles, the province is getting a fast-charging corridor partially paid for by the federal government. NB Power and Irving Oil on Thursday commissioned the first of seven fast-charging stations for EVs in New Brunswick. It will be at Irving Oil’s Big Stop in Lincoln. The Lincoln installation is the first of seven fast-charging stations to beinstalled at Irving Oil locations throughout the province. According to the Canadian Automobile Association, which tracks and mapslocations of charging stations across the country, Canada has 5,040 active charging stations. But the CAA says not a single fast-charging station is located in New Brunswick. Natural Resources Canada is kicking in $500,000 toward the cost of the seven-station corridor. Fast chargers (400 volt) are capable of recharging all-electric vehicle batteries up to 80 per cent in approximately 30 minutes. Standard Level 2 (240 volt) charging stations will also be installed at the Irving Oil locations, alongside the fast-charging stations for plug-in hybrid vehicles, which cannot charge at fast-charging stations. “We’re committed to continually evolving our business to better serve our customers and communities, and help put New Brunswick on the map for sustainable transportation solutions,” Irving Oil GM of Sales and Marketing Darren Gillis said in a statement. The corridor will consist of stations located at 65-kilometre intervals along the TransCanada Highway, from Edmundston to Aulac. The fast-charging corridor is part of NB Power’s eCharge Network, a public charging program for electric vehicles. 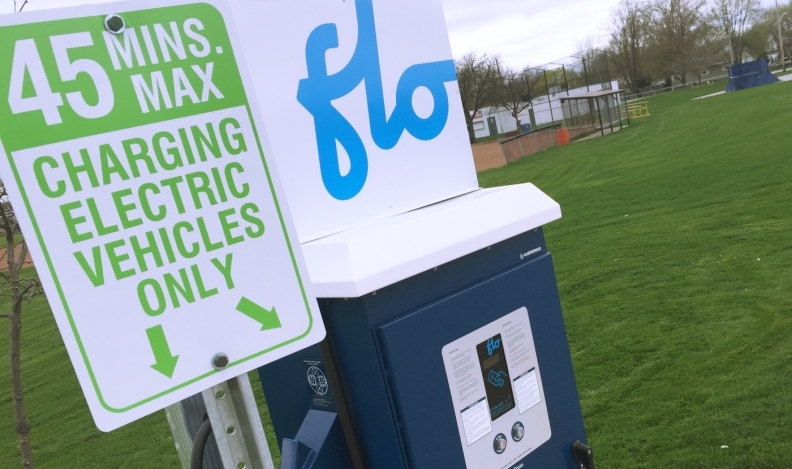 The charging stations are made in Canada by Quebec’s AddÉnergie, a leading Canadian supplier and will be interoperable with the FLO network, the largest charging network in Canada.